The female factor is finally being considered an important currency, with more and more women influencing society and business. This means fresh approaches to trading, collaborating and creating value. As EU Justice Commissioner Viviane Reding says: “Closing the gender gap at the top of the business world is a win-win situation”. The good news is that after decades of women mimicking traditional masculine power relations, we now see the emergence of a new female leadership role model. One shining example is Elinor Ostrom, who became the first woman ever to receive the Nobel Prize in Economics. Most notably she has pioneered research into commons – resources that don’t belong to one nation or organisation, but to all of us. So that’s economics focusing on the monetary value of collaboration and sharing, the type of approach that could lead to new economic models. 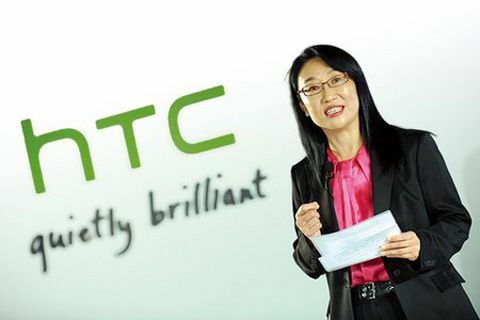 Another great role model is HTC co-founder and chair Cher Wang, whose company has pioneered radical mobile technology like Android and is committed to open source technology through the Open Handset Alliance. 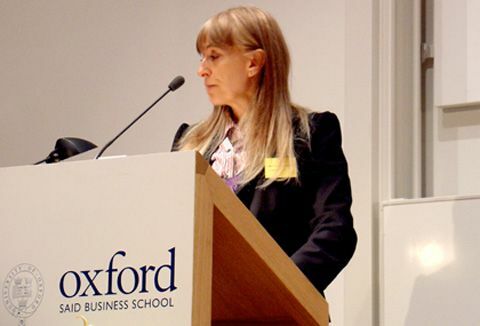 Former Director of the Royal Institution of Great Britain Susan Greenfield, now Professor of Synaptic Pharmacology at Oxford puts it very well: “The future could be female for many reasons: perhaps the most obvious is that we will shift increasingly from manufacturing industries, requiring muscle power, to work with our brains”. Encouraged by global initiatives – such as UN Women and the Beijing Declaration – ‘Feminine’ is becoming sought after as a value and an approach. I would describe feminine as encompassing the softer values, such as ethics, caring and collaboration. This adds up to an empathic leadership model embracing left and right brain thinking – analytical and intuitive aspects – creating a whole-brain vision. As the knowledge economy grows there is a corresponding need for academics and thinkers. And increasingly women are better educated than men. For instance, 6 in 10 people qualified in life sciences are now women, according to OECD (2010). Female researchers are growing at nearly twice the rate of their male counterparts. Women also make up 60% of university graduates in the EU, and since 2000, female employees have taken three quarters of the new jobs generated in Europe. So where might this lead us? I predict it will lead to more transparency, flexibility and fluidity within the business world. Not only will female leadership inspire empathic values and organisational innovation, it will also mean increased GDP. I’m not alone in making this positive forecast. Back in 2007, Goldman Sachs carried out projections on Gender Inequality, Growth and Global Ageing to explore the impact of female employment rates being equal to those of men. This found that if everything else remains constant, the Eurozone’s GDP could potentially increase by as much as 13%. Another study by McKinsey stated that the best companies in terms of work environment, innovation, accountability and profits were those with a higher proportion of women on their board. According to McKinsey & Co’s latest report Women Matter, companies with a gender-balanced composition can achieve an operational profit 56% higher than that of male only companies. We are already seeing many global female influencers and leaders – especially in Scandinavia where women are very visible across every sphere of public life – encouraging this trend must surely benefit society as a whole, and at every level. I was fascinated to read Fast Company’s 2011 list of Most Influential Women in Technology. However, I’m looking forward to the day when lists of companies with a healthy balance of both genders are published. I would suggest that this information will become a useful tool for investors and consumers alike – enabling them to assess not only the balanced and ethical policies of an organisation, but its potential for sustainable wealth generation.